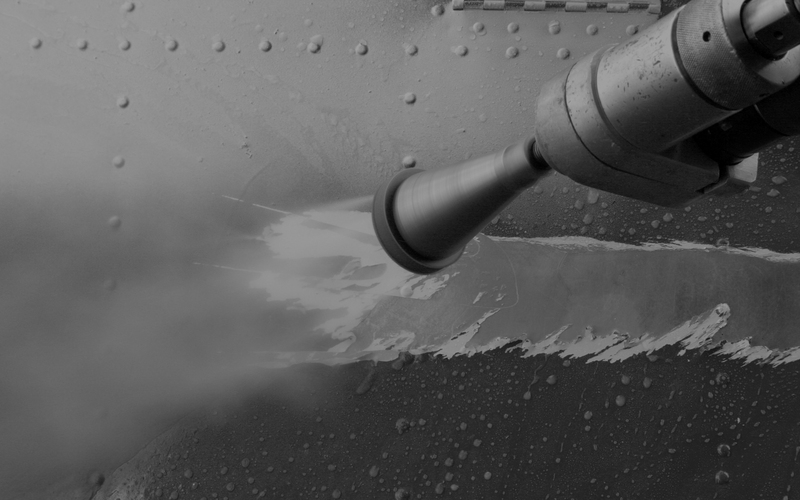 Running at pressures up to 3000 bar (40,000 psi) and utilising heads with multiple nozzles, the waterjetting process is a highly effective industrial paint stripper, non-abrasive method for surface preparation. Differing from other paint stripping services by being a wet process, there is no dust and waste material can be easily contained, vacuumed or pumped away. Coatings manufacturers specify that minimal chlorides are left entrapped in the substrate – a common problem with abrasive blasting. Water jetting, by its very nature minimises this issue by rinsing the surface with clean potable water. Aquamax strips paint from aircraft, ferries, oil platforms, buildings, concrete - all throughout New Zealand. Water jetting is an excellent process for commercial paint stripper needs, from simply stripping paint to plaster and scabbling the substrate in preparation for plastering or tiling. Wanganui Aeroworks, a company which specialised in all aspects of aerial applications such as fertiliser spreading and agriculture spraying, required removal of filiform corrosion and ceramic undercarriage coatings on an Ag-Aircraft. 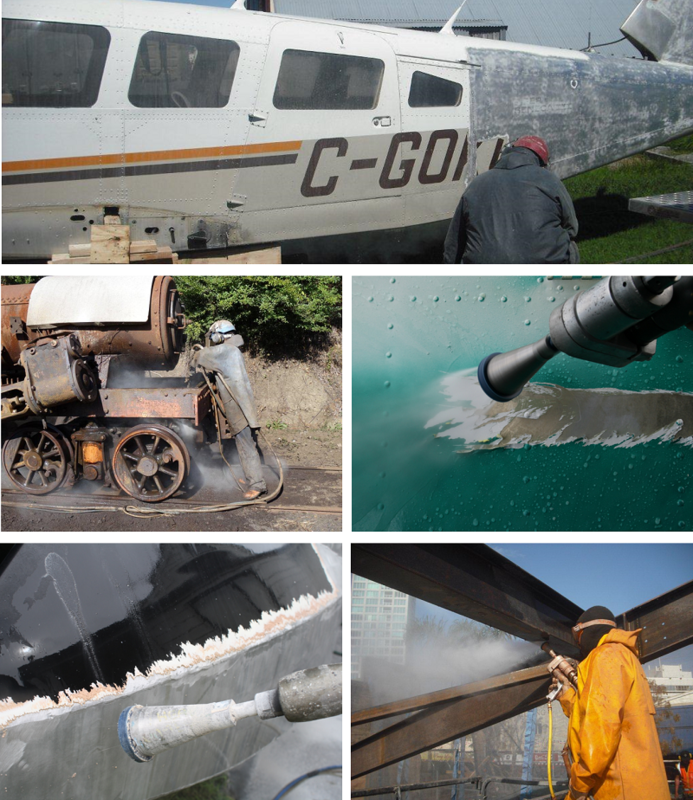 The client required removal of corrosion and ceramic accumulated on the plane, a service that would need highly skilled Aquamax operators using the waterjetting process.. Facing a tight schedule, Aquamax operators worked for extensive hours over the weekend to complete the project in full, on time and in specification.